Bialowieza National Park is the last and only place in Europe where forests are preserved in their primeval states. These are not just your usual woods; it is a magical reserve of enormous trees, extreme verdure, rich wildlife and formerly a place for occult pagan rituals. They are forests like no other. The symbol of the park is the “żubr”, the European bison (buffalo), the biggest mammal of the old continent. During this tour, you will visit, the bison reserve, accompanied by a qualified guide, the strictly limited-access reserve in the Bialowieza forest as well as the Orthodox holy mountain in Grabarka. The tour is organized for minimum 2 participants. Price for single travelers - on request. 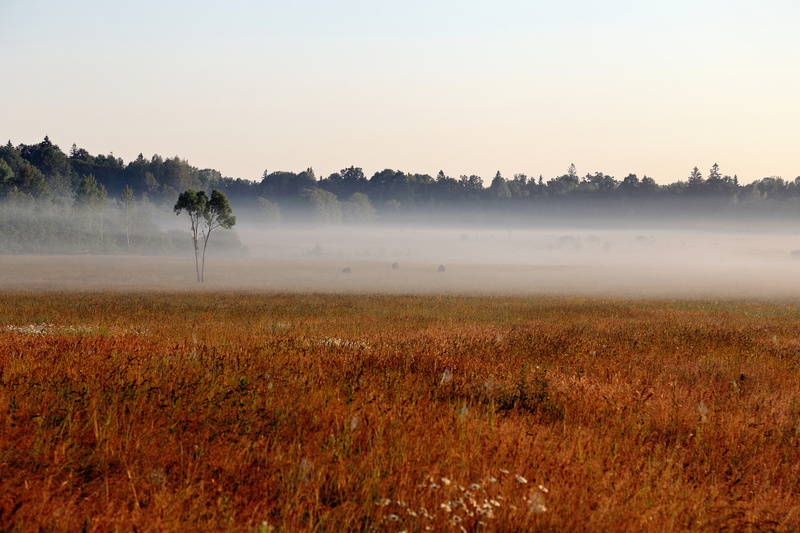 If you want a perfect contrast to the big, cosmopolitan, business and history-packed city of Warsaw, then visit the pristine areas of the Bialowieza National Park. This is the last and only place in Europe where forests are preserved in their primeval states. These are not just your usual woods; it is a magical reserve of enormous trees, extreme verdure, rich wildlife and formerly a place for occult pagan rituals. They are forests like no other. The symbol of the park is the “zubr”, the European bison (buffalo), the biggest mammal of the old continent. The last lowland bison died in Bialowieza in 1919, and a few years later Polish scientists started a successful project to restore the bison population. Today more than 200 European bison can be found there. During this tour, you will visit the Orthodox holy mountain in Grabarka, the bison reserve and, accompanied by a qualified guide, the strictly limited-access reserve in the Bialowieza forest. The Bialowieza Forest is on the Byelorussian border, 230 km from Warsaw – it is possible to make the trip in one day, but we recommend spending 1 night in Bialowieza. This tour is recommended if you have children. 12:30 – Arrival in Hajnowka – visiting the orthodox church in Hajnowka, lunch break. 19:00 – Dinner in a Polish restaurant. 10:30 – Grabarka. On the way we recommend visiting Holy Mount of Grabarka – the most important Orthodox sanctuary in Poland. It is called also “the hill of crosses” as more than 7000 crosses of various sizes are scattered about the mountain.